This gift to Duke came at a moment when accessibility and equity in higher education were brought into the spotlight by Michael Bloomberg, who gave $1.8 billion to his alma mater, Johns Hopkins University, last year. His gift is intended to help low- and moderate-income students attend the school without financial burden. Bloomberg called on his fellow philanthropists to direct their giving toward leveling the admissions playing field. We’ve recently covered other funders who have put money behind similar efforts, such as Chris Jeffries and Ron Perelman. The Grainger gift also arrives at a juncture when environmental organizations are grappling with issues of diversity and inclusion. As we’ve reported, research shows that both green groups and their funders remain predominantly white-staffed and -run, in contrast with the demographics of the nation. There is growing acknowledgement in these communities that the environmental movement needs to do more to diversify its ranks. A central challenge here is to support a strong pipeline of empowered, well-prepared young leaders from underrepresented communities who are seeking careers in this field. Related: Mainstream Greens and Funders Are Still Very White—Are They Risking Their Relevance? A two-year master’s degree from the Nicholas School costs about $125,000, and despite some available financial aid options, students graduate with an average debt of around $55,000. The campaign has a goal of reaching $25 million, and the bulk of this recent gift will clearly be a big help. “If we’re going to tackle the challenges facing our planet today, we need to open the doors to the environmental field wide and recruit talent from all backgrounds,” Toddi Steelman, dean of the Nicholas School tells Inside Philanthropy. Increasing multiculturalism within the student body is one of the environmental school’s goals as outlined in its strategic plan, which extends into 2022. 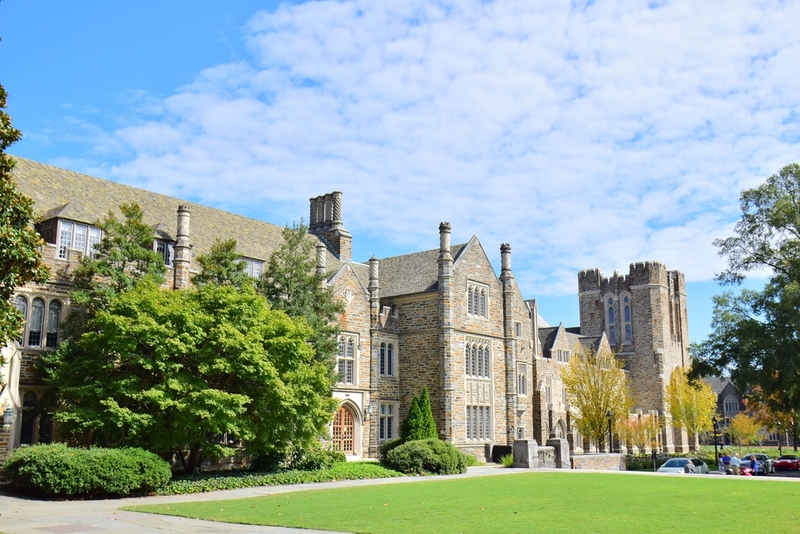 Duke’s undergraduate class of 2021 is a majority-minority group—47 percent of the students are white; Asian, Asian-American and Pacific Islander students comprise the next-largest cohort. The environmental school provided us with an overview of their 2018 demographics: In their master’s programs, 43 percent of the students are minorities, and in the Ph.D. programs, minorities make up 30 percent. A total of 10 percent of master’s students are first-generation college students, but none of the Ph.D. students are. These numbers explain why reaching more members of these populations is a focus for the school. In 2016, more than 73 percent of degrees awarded in the U.S. under the overarching category of environmental science went to white students. Some of these students will work in research, conservation and other scientific areas, and some will join environmentally focused nonprofits and philanthropies, which, as we mentioned, are overly homogeneous. If educational institutions like the Nicholas School of the Environment can indeed manage to change the demographic makeup of their student bodies, it could have a powerful effect on numerous environmental fields down the road. The new infusion of money will also be used to support research by faculty members and Ph.D. students and to back educational programs like the school’s Natural Resources Finance Initiative. It will aid in the creation of an Ocean Engineering Lab at the Duke Marine Lab campus in Beaufort, North Carolina, and in the redesign of Grainger Hall’s rooftop garden. Government funding of university research has been on the decline, with private backers playing a larger role, but we won’t explore that angle here. For more insight into philanthropy’s role in supporting science research, see our coverage of the Science Philanthropy Alliance’s most recent “Private Funding of Basic Science” survey. The Grainger Family Descendants Fund is a donor-advised fund at the Chicago Community Trust, one of the first community foundations in the country. It’s a repeat giver to the environmental school—in 2017, the fund awarded $11 million to build and operate a new oceangoing research vessel for the Duke Marine Lab. It has also endowed three professorships and given support to faculty and student work at several of the school’s science centers. As with many programs that take time to mature, it could be a few years before we see the impact of increased aid for Nicholas School students and the Forging Future Leaders Together campaign on student demographics and debt. While minority and underrepresented young people need and deserve educational support earlier in their lives, access to higher education institutions is also an important factor for these students and an essential component of equity.